It’s Mirchi is basically a half nightclub and half restaurant, which makes it one of the several choices to enjoy a great night out in Karama, Dubai. This nightspot is basically tucked in the well-known Ramee Royal Hotel, where alcohol, food, music, shisha and a lot of other services are offered to the guests. Themed nights makes this spot even more entertaining and those, who want to sit and enjoy food & drink. Guests can also watch Bollywood movies on big screen installed at this nightclub. As far as the food is concerned authentic Indian fare is dished up at It’s Mirchi Nightclub because Karama district has Indian and Pakistani inhabitants in decent number, who often hang out at this place. 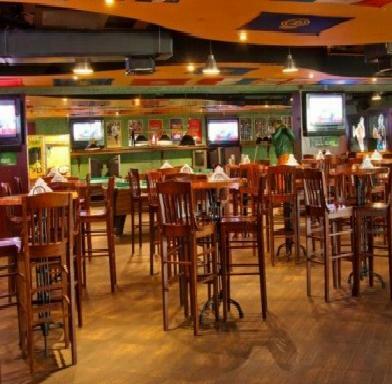 It’s Mirchi is a great place to enjoy food, dancing and drinks till late, as this nightclub shuts down its operation around 3:00 am in the early morning. During this course of time guests can take pleasure in traditional Indian dishes like spicy curries, dals, spiced meat, vegetable kebabs and lot more. Indian food buffet is another highlight of this discotheque that entices lot of people. Moreover, range of alcoholic beverages is also offered at this spot. Aside from delicious Indian food and array of drinks, dancing tracks and heart touching music are the other two most adored things of It’s Mirchi’s guests. Dj plays exhilarating music on this site. Visitors are allowed to smoke in this nightspot and shisha is presented to them on request. 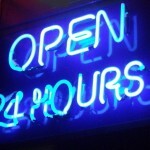 The daily operational hours of this nightclub are from 7:00 pm to 3:00 am and this venue opens on all days of the week. Al Fahidi Metro Station 1 is 9 minutes walk from It’s Mirchi Nightclub, as the gap between them is close to 700 metres. Therefore, you should heads in the northeast direction on Al Mankhool Road/D 90 towards Kalid Bin Al Waleed Road/D 79, after exiting from this metro station and then turn left onto Kalid Bin Al Waleed Road/D 79, from where destination is not too far on the right side. 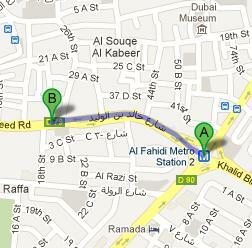 Raffa 2 – Dubai bus stop is 150 metres away from It’s Mirchi Nightclub. Therefore, a bus passenger can bridge this gap on foot quite easily in 2 minutes, if he or she head to this venue from Raffa 2 – Dubai on foot. To do so one should head in the east course on Kalid Bin Al Waleed Road/D 79 towards Al Raffa Street that will lead them to the destination that is on the left side. Bus numbers 21, 29, 33, 42, 44, 61, 61D, 66, 67, 83, C1, C3, C5, C7, C18 and C19 serve this bus station. See map for directions.